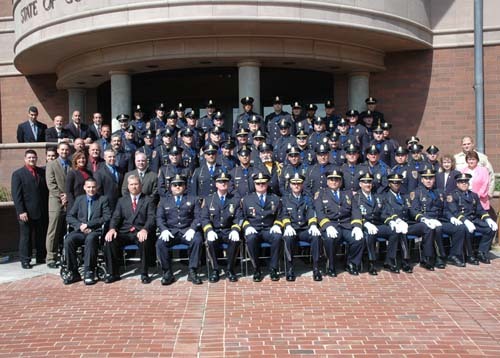 I want to welcome the citizens of Meriden to our Police to Citizen website. This website was launched in an effort to empower our citizens with information regarding law enforcement activity in Meriden. It is an expansion of our highly successful Neighborhood Initiative Program. This website integrates with our Computer Aided Dispatch and Records Management Systems, enabling our citizens to access information in a timely manner and encourage their participation in Crime Prevention. The site provides information such as calls for service, arrest information, wanted persons, daily bulletin, public information releases as well as crime mapping capabilities. Other services such as community calendar and pistol permit information can be obtained from the site as well. I would also like to take this opportunity to thank the Council of Neighborhoods for their assistance in testing this site and providing their input in order that we may continue to improve the all important methods of communication that are instrumental in our Community Policing Philosophy. I encourage input and feedback regarding this site.